At 4.45a.m on thursday morning, the alarm went off - I'd been awake for a while, fuelled by a cocktail of anticipation, excitement and apprehension that our preparations for this show would pay off: we would arrive on time (7.00), we would have all the equipment required for showing alpacas (mineral feed, hay, water buckets, Apple Vale pen banners and leaflets, poop scoop and bucket, white coat, wet weather clothes, dry weather clothes, cold weather clothes, warm weather clothes, folding chairs (though we never get time to sit in them! 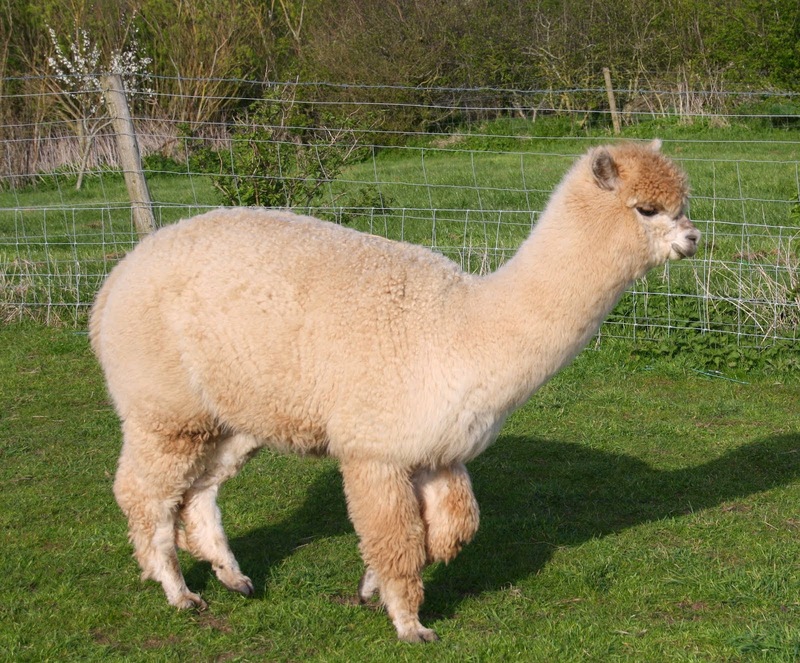 ), fans to keep the 'pacas cool), and finally, that our alpacas would be judged highly against good competition. The day had begun with clear skies, sunrise as we drove across the Levels beyond our village, but slowly cloud gathered. As I waited with our brown female, Apple Vale Florina, (dam: Apple Vale Bramley, sire: Van Diemen Qjori of Patou)we could see the band of rain coming from Dartmoor, and spots of rain began, so the judge decided to move to the showring in one of the marquees. Florina was placed fourth out of four, but the judge began her summing-up by saying that 'all of this class had a fine, soft-handling, 'buttery' fleece', which was a positive comment, and we know that she needs to add density and character to her fleece by mating to a male with these characteristics, so we weren't disappointed. Friday morning came, and having left the alpacas in the marqee overnight, we could have an extra half an hour in bed, not having to round them up, and not having the trailer to tow. 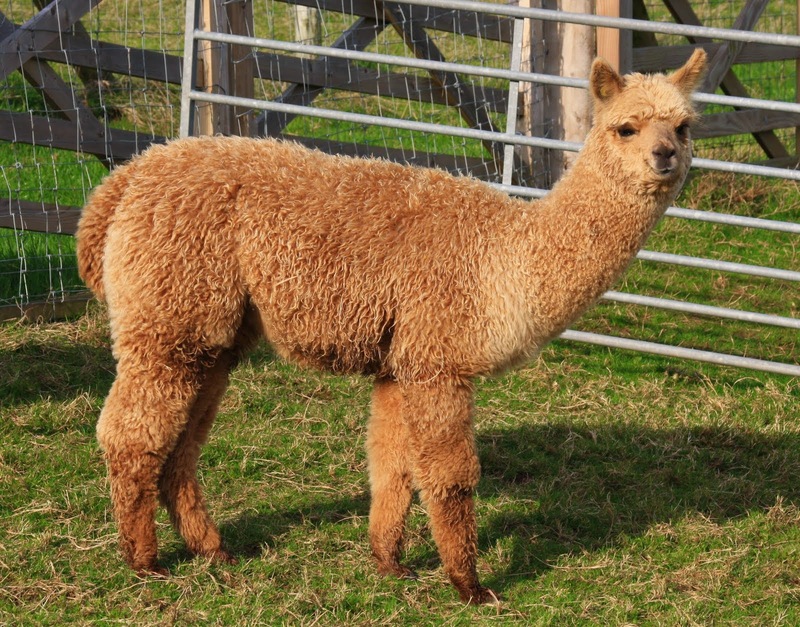 first in th ring was Apple Vale Gala, a junior female (dam: Helens Diana of Apple Vale, sire: CCNF Talon of CME). She wasn't placed at the National Show, but in a class of twelve here, I was relieved when she was called forward into the front row, being the best seven out of the twelve. 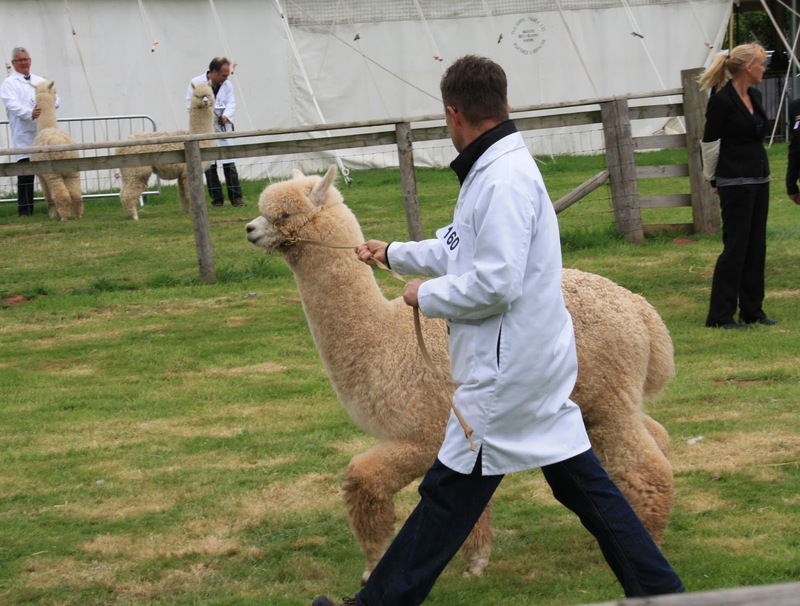 Then followed a bit of alpaca 'hokey cokey', as the judge juggled us around...we went from fourth to third, back to fourth, and finally to fifth, which we were satisfied with from a class of twelve, with good genetic ancestry. 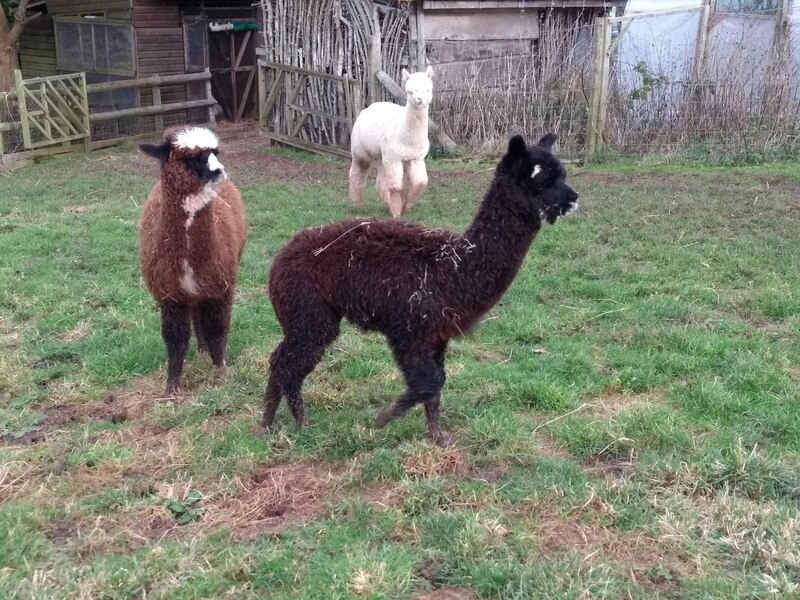 There was a bit of excitement at one point in the day, when an alpaca that had been in an outside pen for a bit of drying sun and breeze, got spooked by a dog, and leapt out of the pen - I saw this happen, and shouted something like, "alpaca loose! ", as it darted off behind a marquee...to one side there is an off-road buggy track, to another side through a hedge, the fun fair, and to another side, the entire showground stretches out...the thought of an alpaca loose amongst thousands of show-goers and dogs must cross all of our minds...anyway, I saw alpaca owners in the marquee rushing towards the outside rear of the marquee, having heard my shout or the clatter of hurdles, so I headed down the side, and as I reached the rear corner, the alpaca started heading back towards me at full speed...I launched myself at it, got a grip, but it was an intermediate or adult, and so at least as heavy as me, and as it dragged me around guy ropes, a pulley to raise the marquee, and power cables, I realised one of us might be garotted and let go, landing in a puddle...it then realised it was better off with it's owner, and walked back into the arms of 'mummy'...panic over. 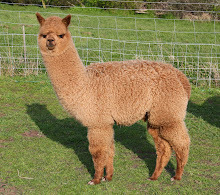 Fortune was awarded first place, the judge commenting on his fine, dense fleece, being consistant from his head to his legs, and the character being consistant from the skin to the tips of the fibre, and mounted on a good frame and chest. I often wonder what other breeders think about when the judge is coming to their conclusions...you have an idea of your alpacas good points and not-so-good points, so you guess your position, but you haven't examined the competition, so then you allow yourself to consider first place, but then you try not to set yourself up for disappointment by considering a low placing or, 'the walk of shame'....and then comes the decision...or do other breeders just look at the sky, the audience, and enter a state of otherworldliness? 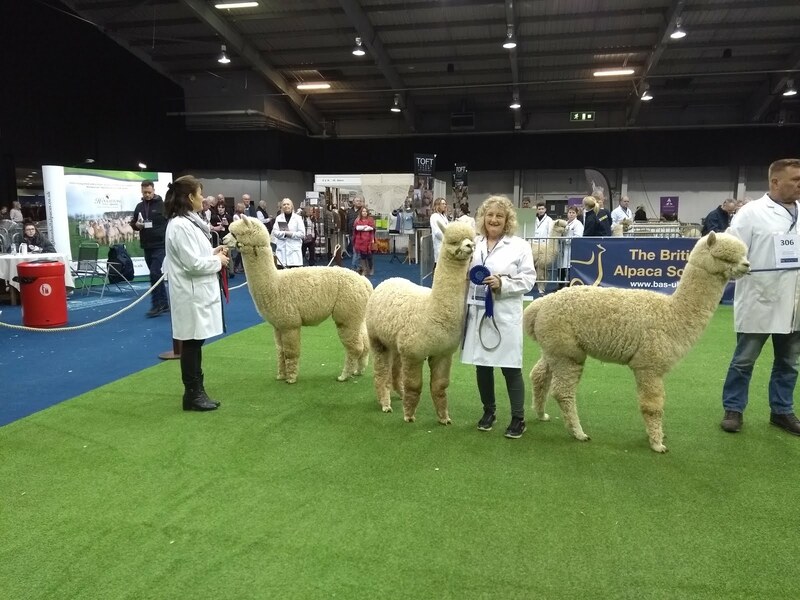 It's the Royal Bath & West Show, in less than two weeks - Joy will be demonstrating fibre felting on wednesday and thursday in the marquee along with other demonstrations of fleece processing, and we will have three of our alpacas in the halter show on friday and saturday - do come along and say hello, and don't be intimidated, all the alpaca breeders love to talk to the public and answer questions. North Somerset Show and more.